It has been an exceptionally bad year for fleas and many products have been “flea-ing” out the door! Here’s a list of some of the more popular ones, where customers have come back to us with feedback! Bob Martin flea bomb – for excellent removal of fleas, their eggs & larvae. This product is “let off” in a room. Zodiac maxi household spray – again a product for the home. Simply spray all soft furnishings, curtains, bedding & carpets. The spray keeps your home flea free for 12 months! Zodiac on animal spray – although slightly more expensive than all others stocked, this flea spray came out on top according to our customers. Most effective with fastest results. Spot-on – always popular, this permethrin based product gets applied between the shoulder blades & where the tail joins the back. 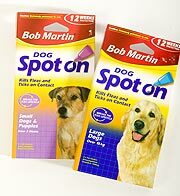 It is available for both cats & dogs BUT BE CAREFUL NOT TO MIX THEM UP, AS DOG SPOT-ON IS VERY DANGEROUS TO CATS!! 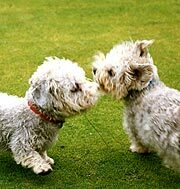 Frontline is another favourite with PetStop customers. Although seen as the very much more expensive version of spot-on, it is no longer veterinary only, and we stock it at very competitive prices. 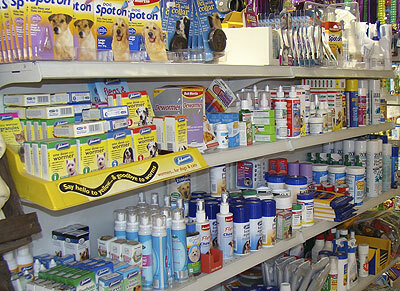 Call in to see our full range of flea products and always remember to worm your pet regularly, as both are connected!